Guests can attend a half day oil painting lesson that is 0.4 miles from the DoubleTree hotel in Charleston. The hotel is situated right in the middle of the town. 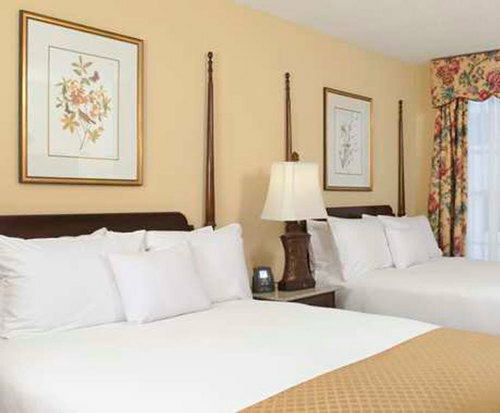 DoubleTree boasts some of the largest suites in the area, and guests are sure to find the amenities breathtaking. Beginning with a courtyard that is hidden from view in the middle of the hotel and ending with a warm cookie in the lobby, this hotel has everything to make guests feel right at home. 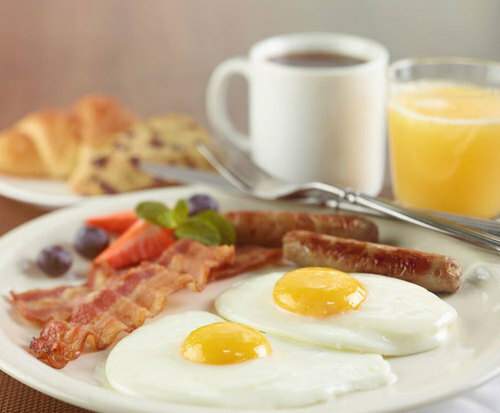 Breakfast is provided through room service. The business center has computers that are divided by wooden partitions. Video conferencing is offered. Cribs and high chairs can be provided to the room. There is a fitness room, and tours of the city are offered by the hotel. What better way to begin a day in Charleston than with a carriage ride? The hotel offers rides through the streets to guests who want to venture out of the hotel. A large fountain is located in front of the hotel. This fountain sprays water in multiple direction, and there are lights in the fountain at night. The large suites have furniture that has an antique appearance. Almost all of the rooms have a view of either the courtyard or the fountain. Suites have two rooms that join together. 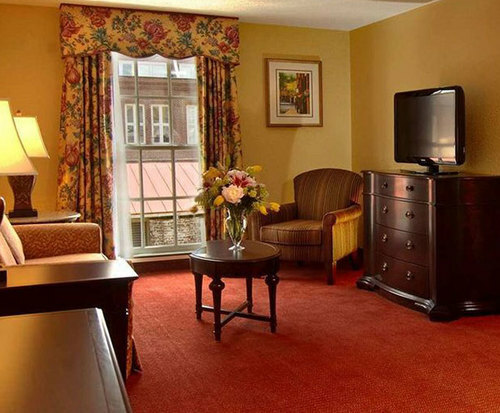 A 37-inch flat screen television is mounted on the wall of each room. Most rooms have granite counters and a refrigerator. Wireless high-speed Internet is provided by the hotel. Area restaurants that are less than a mile away include Hank’s Seafood and Peninsula Grill.